As Matthew heads north we are just beginning to discover what the hurricane left behind. 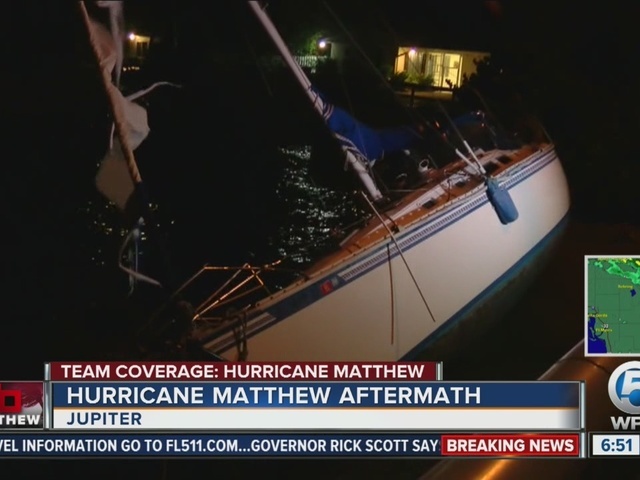 A boat has washed up on the east side of the Blue Heron Bridge. Sails on the boat have been shredded. The biggest problem is on the roads. 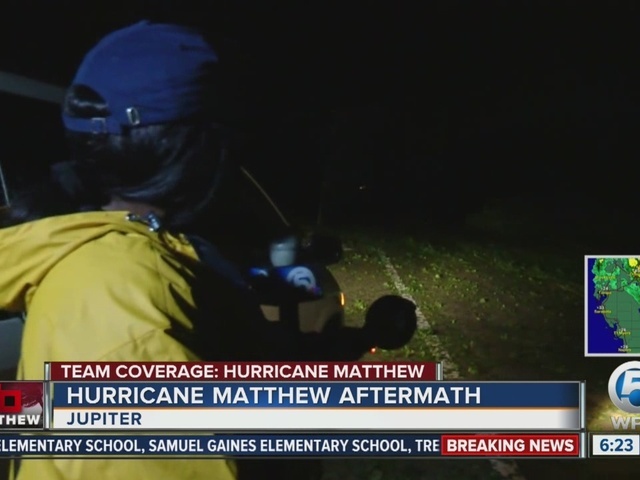 There is debris covering streets throughout Palm Beach County and the Treasure Coast. In Fellsmere police report a tree down and blocking North Hickory just south of New York. And a tree is covering WB CR 512 at Bay St.
A power line fell along SR 60 heading east in Vero Beach. Debris is littering parts of A1A in the Jupiter area. Tequesta Fire Rescue reports roads blocked by trees and other debris. A Boynton Beach police officer had to use a chain saw to remove a tree blocking Congress Avenue. Police agencies urge you to stay indoors and allow work crews to remove dangerous hazards and debris. 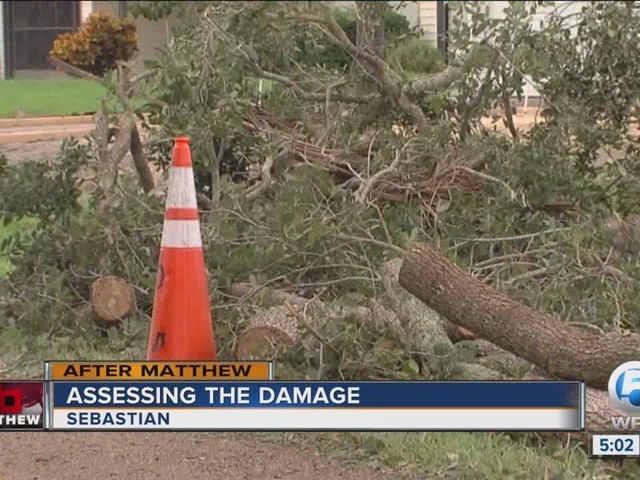 The town of Palm Beach says several large trees are down, power outage is widespread, and debris is in the roadways. Only emergency personnel, utility companies, home owners, and non-residents with legitimate business purposes (with the exception of landscaping companies) are permitted to re-enter as of 9:30 a.m. Friday. The town will announce later Friday when landscaping companies may re-enter. It says full access to the Island is undetermined at this time. Stuart Police are patrolling the city looking for and reporting roadway issues. Do not travel have until the road hazards are cleared.